Quick heads up for you all as celebrations continue at Pobber Toys HQ! Fresh outta the steamer is The CNY Fatt Choy edition “Bao” All suited and booted for the occasion in CNY colours will be releasing this week. 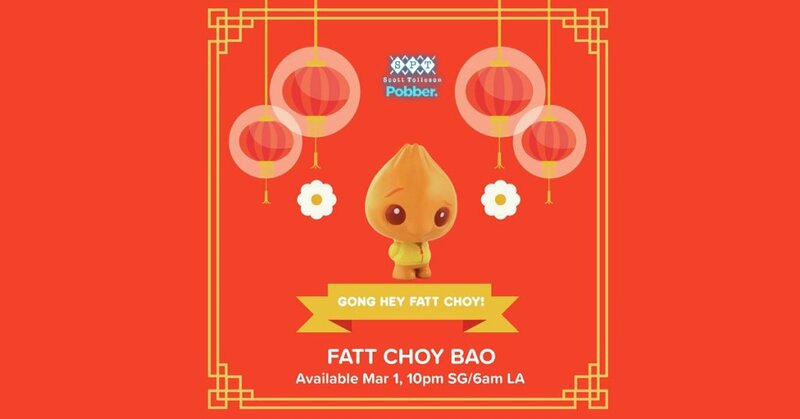 The CNY Fatt Choy Bao will be available this Thursday 10 pm Singapore time at http://Pobber.bigcartel.com. Gong Hei Fatt Choy to you!